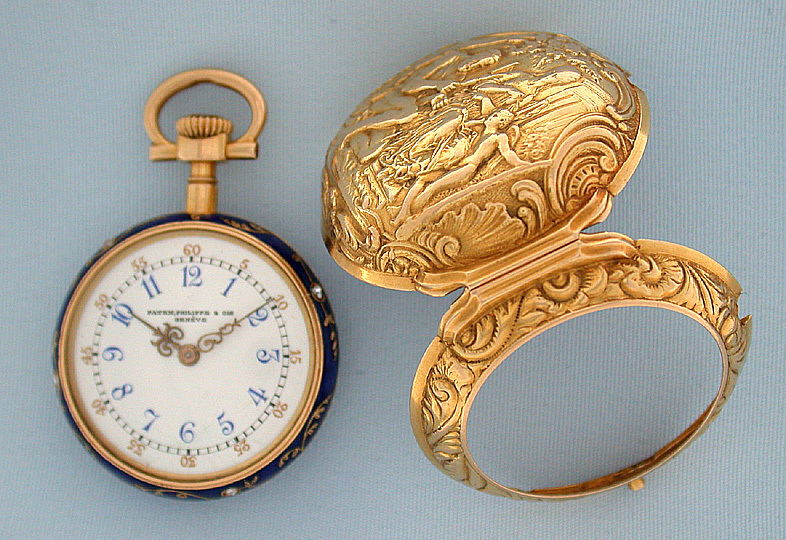 Fine, rare and beautiful Patek Philippe 18K gold, diamond and enamel repousse pair case ladies antique pendant watch circa 1895. 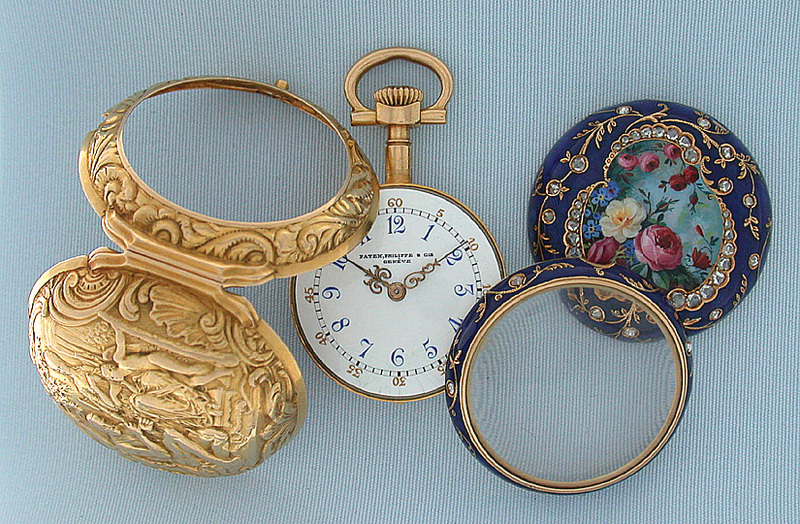 This watch is in the style of watches made 100 - 200 years earlier. 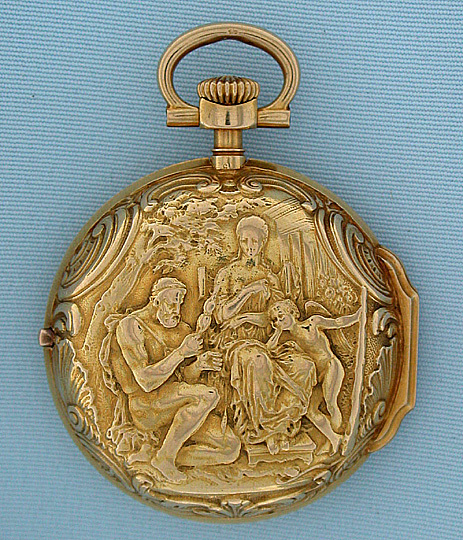 The outer case repousse with a classical scene. 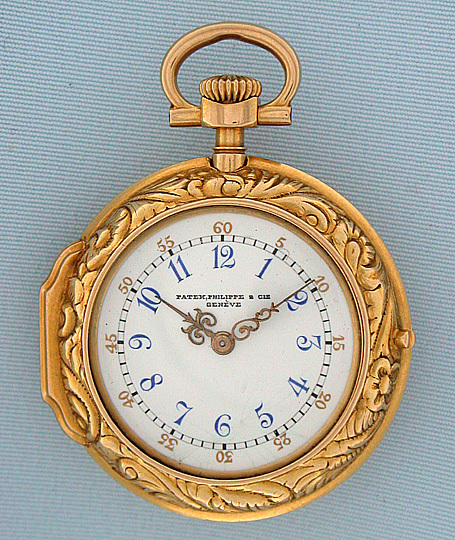 White enamel dial with blue and red numbers and fancy gold hands. 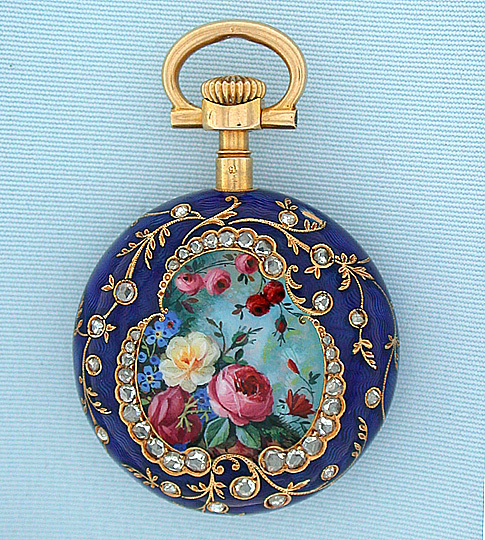 The inner case covered with cobalt blue enamel and 47 diamonds, the back with a cartouche of painted enamel flowers. 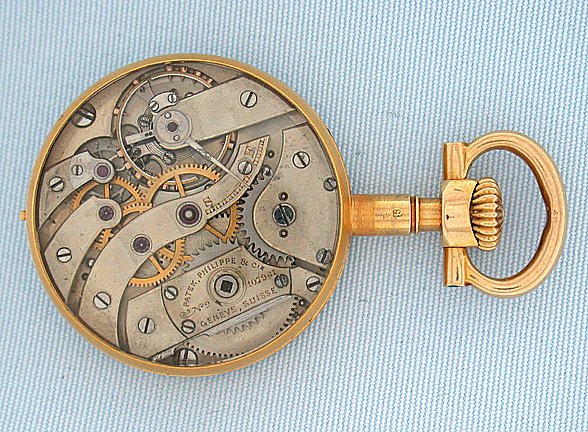 The movement in a third inner case with crystal over the nickel 18 jewel movement #107,961 with wolf's tooth winding. The dial with hairlines and 2 minor cobalt enamel repairs. Spectacular watch by the maker of the very best watches.